The first time Dereck Chisora and Dillian Whyte fought, fans were treated to a heavyweight slugfest. Although the hard hitting Whyte won courtesy of a split decision that night in Manchester, England, the twelve round rematch, which will go down this Saturday at the O2 Arena in London, promises similar fireworks. 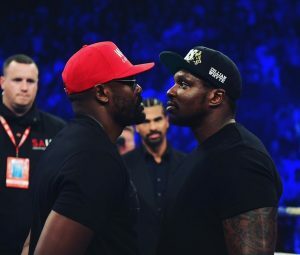 “The first fight was a great fight,” admits Chisora, “but they gave it to him, and I was like why?” Chisora, however, was eager for a second chance with his fellow Englishman. The following is the Boxing Insider notebook for the week of August 16th to August 23rd, covering the comings and goings in the sport of boxing that you might have missed. 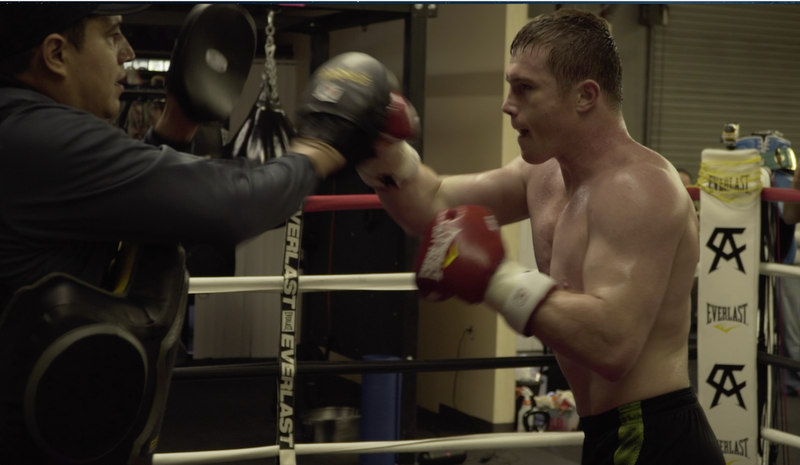 Most boxing fans wanted to see Canelo Alvarez box Gennady Golovkin in his next face, but instead have to wait for Canelo to fight Liam Smith before he steps into the ring with Golovkin. However, fight fans will get a chance to see two opponents that Golovkin was able to beat, handedly, in the co-main event of the upcoming HBO Pay Per View. Golden Boy Promotions recently announced that Gabriel Rosado will step into the ring to face Willie Monroe Jr. on September 17th. Two other undercard bouts have also been announced, and they include Joseph Diaz Jr. vs. Andrew Cancio and Diego De La Hoya vs. Luis Orlando del Valle. ESPN’s Dan Rafael has reported that Timothy Bradley Jr., a former two division champion, has resigned with Top Rank Promotions for a two year extension. Timothy Bradley has been in some big fights with Top Rank Promotions, including three fights with Manny Pacquiao and one fight with Juan Manuel Marquez. Top Rank’s stable includes rising stars such as Terence Crawford and Jesse Vargas and Top Rank is even willing to do business with Al Haymon fighters. Plenty of options remain for Tim Bradley that does not include Manny Pacquiao. Top light heavyweight contender Sullivan Barrera has been diligently working on his craft in the hot Florida summer under the guidance of trainer Derik Santos. The former Cuban amateur standout has inexplicably been out of the ring since coming up short against Andre Ward on March 26th in the top pound-for-pound fighter’s backyard. The loss was Barrera’s first and after producing knockout victories in his prior six fights, he is surprised that he hasn’t been back in action. “I don’t understand it. I’ve been putting on great fights. People have seen my knockouts on ESPN and on HBO Latino. I thought I would have fought again in the summer or at least had a fight lined up by now,” said Barrera. With a number #4 ranking by the WBA, #8 by the IBF and #12 by the WBC, Barrera is a worthy rival for any upper level opponent. “Over the past few months there have been talks to face Bernard Hopkins, Jean Pascal and Slava Shabranskyy but when it comes down to signing a contract, nothing ever happens. I am willing to fight any of these guys. I went to Ward’s backyard. I am not afraid of anything or anyone. Ward and Kovalev isn’t official. Maybe he can give me my rematch. One of these guys needs to step up so we can give the fans a war!” Barrera stated. Barrera has been very active, fighting 9 times since December, 2013 and he doesn’t see why he doesn’t have a fight scheduled. His frustration stems from his inactivity. He is used to fighting often. GH3 Promotions is proud to announce the signing of undefeated junior welterweight prospect, Kenneth Sims Jr. to promotional contract. GH3 Promotions will co-promote Sims with Antonio Leonard Productions. Sims of Chicago is perfect as a professional, as he sports a record of 7-0 with two knockouts. Sims was a highly acclaimed amateur, who amassed over 200 fights who became a 2-time National PAL Champion, Sims Jr. was also the 2013 USA National Champion, a Silver Gloves Champion, a Junior Olympic Bronze Medalist, a 3-time Ringside World Champion and a 2012 Olympic Trials Semifinalist. Sims turned professional on March 7, 2014 with a win over Corey Mudrew and has racked up six wins since, with the latest being a six -round unanimous decision over Tavorus Teague on March 11, 2016 in Tustin, California. Sims will be back in action on September 15th as part of the televised undercard that will feature Thomas LaManna and Dusty Hernandez-Harrison from Philadelphia on the CBS Sports Network. Like other GH3 Promotions fighters, look for Sims to be fighting regularly. That is a schedule that Sims will relish. At just 22 years-old, Sims has a good attitude and wants carve out an identity, not only in the boxing world, but be known in his hometown. “I am trying to make a name for myself and do the best and do something for my city..
Sims is known for his boxing ability, who likes to work the body. Sims co-promoter Antonio Leonard has been by his side since he turned professional and had his eye on an emerging talent since his amateur days. Sims has been the main sparring partner at different times for the sport’s two biggest names and has performed well and gained incredible experience by working with Floyd Mayweather as he prepared for Andre Berto and with Manny Pacquiao as he was getting ready for Mayweather. Presented by Vans for a special Tribute to our Military, Thursday, August 25th, 2016 on the beach at the 54th Annual Coastal Edge East Coast Surfing Championship, Virginia Beach, VA. Super middleweight Frank “THE FREIGHT TRAIN” Filippone (21-5-1/7 ko’s) of Virginia Beach, VA will headline this exciting card of knockout artists. Filippone, a Virginia Beach Police officer and former WBA-NABA Light Heavyweight Champion is set to take on, Timothy “The Boss” Hall (9-22-0/5 ko’s) of Athens, GA, in the 6 round Main Event on the Beautiful Beach in Virginia. The Exciting Co-Main features another local favorite, Portsmouth, VA lightweight Dorin Spivey (46-7-0/33 ko’s). Spivey has fought 7 times for carious portions of the lightweight belts and has actually fought for, captured, defended and relinquished the WBA-NABA Lightweight Championship Crown 5 different times!! 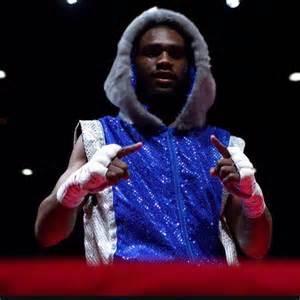 Spivey, is matched up against Larry Darnell Ventus (6-10-1/3 ko’s) of Detroit, MI. Also featured on the Professional portion of this fight card is Jerry “SLUGGER” Forrest (13-2-0/12 ko’s) of Newport News, VA vs. Willis “The Prophet” Lockett (14-18-5/5 ko’s) Takoma Park, MD; First Class Petty Officer Carlos Moore (2-1-1/2 ko’s) of Virginia Beach, VA vs. William Lorenzo (3-19-1/1 ko’s) of Columbia, SC; and Defense Department Diver Roger Belch III (6-0-0/6 ko’s) vs Anthony Dave (0-12-1) of Canton, OH round out the professional end of this mixed Pro/Am fight card.